33. 1/2 Size Classic Guitar from J. Solid cedar or spruce top. WIDTH AT NUT: 52 mm. SCALE LENGTH: 650 mm. 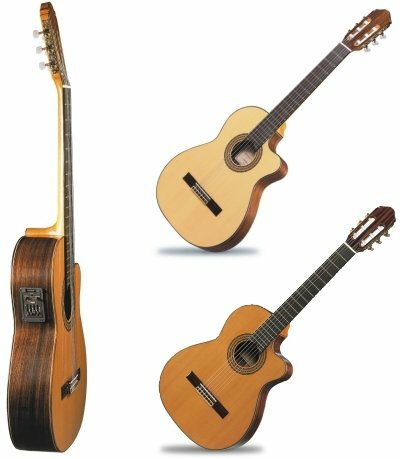 To help you with your choice of tops, classic guitars traditionally have cedar tops which are darker in color, whereas dreadnoughts (steel string guitars) typically have the lighter colored spruce tops. Spruce ages extremely well and gets better every year. If you have ever seen a professional player using an old beat up guitar, this is why. Spruce gets better sounding with age. Its not that they built them better back then, it's that they sound better the older they are. 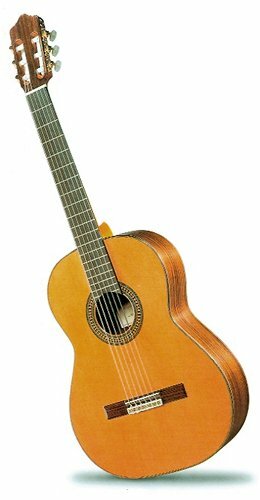 It is also very common for varieties of spruce to be used on a classic guitar that are very orange looking. These same varieties typically are never used on dreadnoughts. Option of choice between standard or narrow body. Flamed sycamore sides and back that provides a brilliant sound. Rosewood fingerboard with a low action. 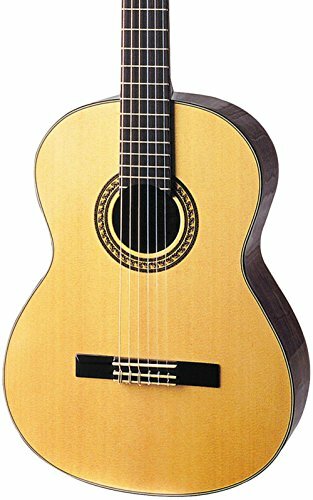 Guitar built with rosewood sides and back. Laminated rosewood sides and back. This is a 34" 1/2 Size Classic Guitar from J. Reynolds. It features nylon strings and a high gloss finish. 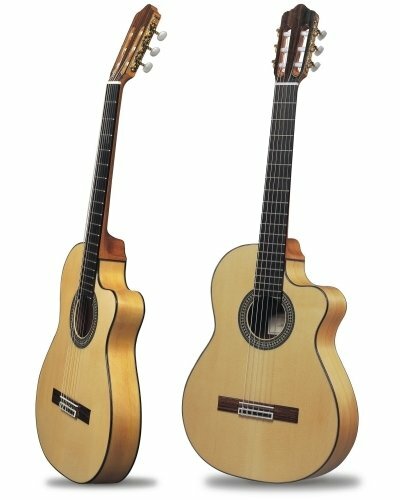 Solid rosewood sides and back, solid cedar or spruce top. Special varnish that provides a brilliant sonority. The best model of the series. Solid rosewood sides and back. Cedar and ebony neck that provides higher resistance to the torsion. 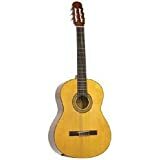 This guitar is available with several different choices of woods and/or a hardshell case at additional costs. Please call us to order these.